I went to fly today and the engine was slow to crank,turned maybe twice and was done. I flew last week and it cranked slow but started I have had a few battery issues with not starting but thought it was because I was messing with radio fiddling with lights and ran it down (I think). And left the switch on overnight once. Amp meter shows its charging. The battery is about a year old but only has a few hours on it ,so it sat a lot and I don’t know if the previous owner had a maintenance charge on it. I assume it’s bad but wanted an opinion before just ordering a new one. Last edited by Flyjeep; 03-16-2019 at 10:41 PM. Put a slow charger on the battery overnight, then try it. The midwest had several days of sub 0°F temps this year, if it is a old style like gill 25 those cold temps might have kilt it. The new style sealed batteries live for those cold temps, I think it makes them stronger. Last edited by SMO22; 03-17-2019 at 01:27 AM. 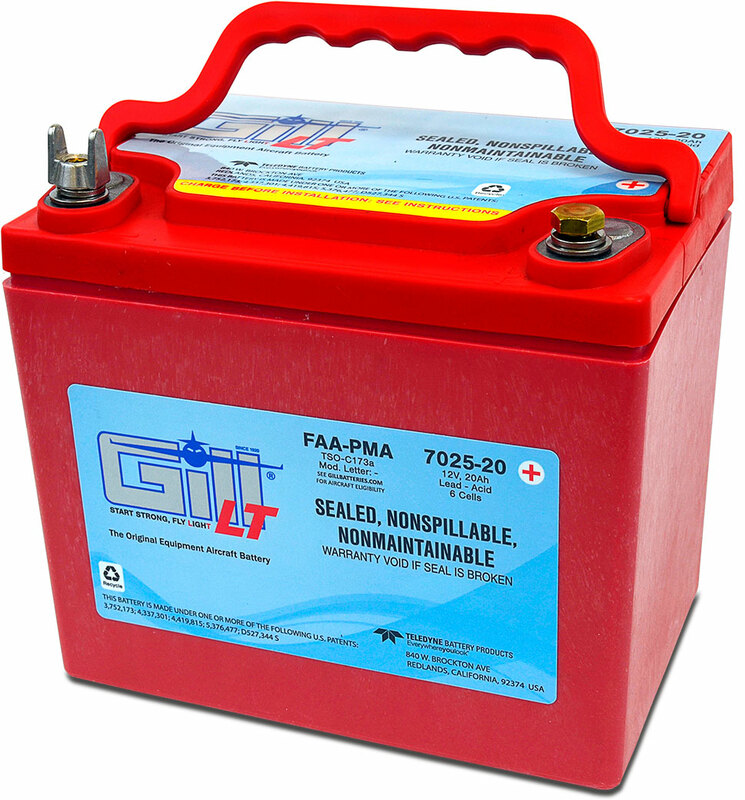 I would fully charge the battery and see what the voltage is at the battery when you try and start it or after charging have it load tested at a local auto parts store. If it is a G35 lead acid battery you can buy a specific gravity tester for a few $ and check if the battery is good that way. If the battery is good then there is more troubleshooting involved. I charged it at 2 amps for around 5 hours one of the times I had the issues and tested it with a cheap load tester but have not checked the voltage while running (cover and seat where back in) just the amps on the gauge. I have the generator. Voltage regulator was replaced a few years ago. Thanks for the advice sounds like a standard charging system I have never had anything with a generator and amp guage. I'm a big fan of the Odyssey battery. Finally had to replace it after 8-9 years of flawless use. Never got 1/3 of that out of the standard Gill batteries. The Odyssey are small but mighty. Did not charge the battery I need better charger,but I did go to check it out. First the voltage read 11.9 volts but plane cranked over and started. After start voltage was 12.04v 1100rpm 12.65v 1500rpm and 14.08 at 2000rpm I used a cheap acid tester that floats with a good to recharge scale and all cells showed recharge. I want to charge it with a better charger than I have and I'll check again. Thats sounds like a good idea, from what you said your generator is working fine. I would charge it longer than five hours. 2 amps is not much of a charge. Voltage should come up to about 12.6.